By now many of you have probably heard – SOAPware EHR exists no longer and current users must find another solution before the end of February 2018. If you were to google “soapware” today, you would notice that half the first page of results are advertisements posted by various other EHR/EMR companies offering free transition, free data conversion, and whatever else might entice the users to switch to a SOAPware alternative. We’ve been in this business now for more than a decade ourselves… I can’t say I was flabbergasted at the feeding frenzy. It did make me wonder though… Why didn’t SOPAware (as a company) sell their business to another firm who would have taken care of its clients? Many SOAPware users grew with them from their rudimentary start to a full-fledged product. What does the next, ideal EHR look like for those current users? I am not in a position to answer the first point with any degree of authority nor certainty. But from this outside perspective, it definitely looks like SOAPware left money on the table. The second point, I can speak to easily. SOAPware’s history parallels ours, inasmuch as they were a fledgling company with limited offerings that grew into a feasible eHealth solution with a wide range and breadth of offerings for their users (the parallel definitively ends there). Needless to say, I have some thoughts. Let’s return to that litany of offers on google: cheap is not necessarily good. Just because someone offers freebies is not reason enough to switch. Many of these SOAPware alternative offers do not give currentusers credit. The first phase of EHR implementation is past. Users now know their difficulties and gaps their software cannot meet. SOAPware users are looking for a software that will meet their unique needs. It sometimes helps to make a list of features users cannot live without, and features they can. EHR software should enable providers to practice naturally, rather than adapt to the (potentially) convoluted workflow a new EHR software presents. 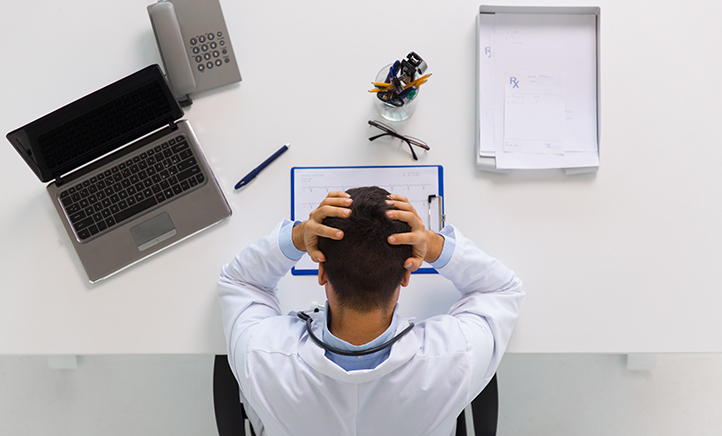 Transitioning EHR providers can be cumbersome and frustrating. Many EHR companies do not provide data to users to easily transition… There are some companies on the market that function differently and SOAPware users (and indeed, any transitioning EHR user) should make sure that their new EHR vendor has that different philosophy. Larger EHR vendors are not necessarily better (or even, good). Consider, just as one example, the reports of eClinicalworks’s settlement with the DOJ and another class action suit for a billion dollars. In any case – choosing a new EHR, a SOAPware alternative is a big decision (which, really goes without saying) and the death of this EHR company allows several healthcare organizations the opportunity to start anew with a company that fits their needs perfectly. In this age of technological innovation, there is no reason why health tech shouldn’t perfectly fit the needs of their customer. Is the EHR flexible to meet unique workflows? Would the data be held hostage? Is there a strong support team behind the product? The transition is bound to be difficult, but this is also an exciting time to develop a partnership with a new company who may – just may – have a product better suited to your needs. SOAPware EHR exists no longer. Current users must find a viable SOAPware alternative soon. We’ve been in this business for more than 10 years ourselves.